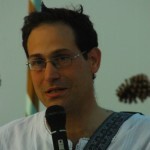 The South African Association of Progressive Rabbis (SAAPR) embraces all rabbis serving congregations of the South African Union for Progressive Judaism (SAUPJ).The purpose of the SAAPR is to pool Rabbinic expertise, to provide collegial support and to agree on a common policy regarding minhag (custom) as included in Minhag SA.Because of the small number of rabbis within the SAAPR, it is only necessary for one person to convene and co-ordinate meetings and activities. That person is termed the Chairperson and is elected for a two-year period, though re-election at the time of such a period is possible and at times desirable.Minhag SA is a document that includes the rules and regulations of the SAUPJ in areas such as the Jewish status, marriage, adoption, conversion, divorce, burial and cremation. 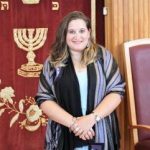 These rules and regulations are updated when deemed necessary as a consequence of proposals submitted by both rabbis and lay leaders. Amendments to the document have to be ratified at a National Assembly of the SAUPJ. All members of the SAAPR are bound to abide by the rules and regulations of Minhag SA. Minhag SA is important in order to avoid different standards on matters of Jewish status within the SAUPJ. Rabbinic ordination from one of the above does not guarantee the social skills necessary for successful work in the field. Rabbi of Temple Israel, West Coast, Cape Town. 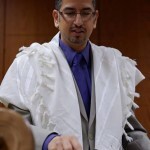 Rabbi of Durban Progressive Jewish Congregation. 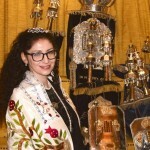 Rabbi at Cape Town Progressive Jewish Congregation (CTPJC) (Temple Israel CT). Rabbi of Temple Israel, Greenpoint, Cape Town. Rabbi of Temple Israel, Wynberg, Cape Town.